Facility management is the professional management discipline that has its prime focus on the delivery of the services it provides. It integrates people, process, and technology for assuring the functionality of different professions. 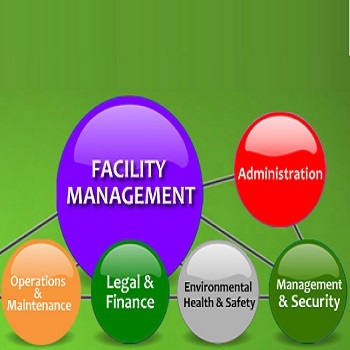 Make the best use of facility management services offered by us in Vapi. We are aided by a team of professionals who are engaged in serving various industries in Gujarat. We offer home nursing service, interior designing service, catering service, accounting consultancy, printing services, and much more. Hire the professional security personnel by contacting Manpowerworld Placement & Facility Management. We are engaged in offering security services in Vapi. Our security personnel understand the difference between the approach of safety towards a commercial, industrial, and residential sector. They are trained for handling different situations calmly. The security force comprises the security guards, bodyguards, and gunmen. In an addition to this, one can hire the team of professional bouncers in Vapi as well. Get in touch with us today. Manpowerworld Placement & Facility Management is a housekeeping service provider in Vapi (Gujarat). We are a team of professionals that deploy the trained housekeeping staff in the commercial and corporal sector of Gujarat. The housekeeping staff is trained in managing multiple chores like doing the dishes, preparing the table, dusting, removing the trash etc. Furthermore, they are efficient in operating the machines like a vacuum cleaner, washing machine, dishwasher, and oven. Make the best use of our housekeeping services by contacting us today.